← Weekend Adventures: Quebec City Part 2: The short short short short version…. It’s been a very active weekend for me. 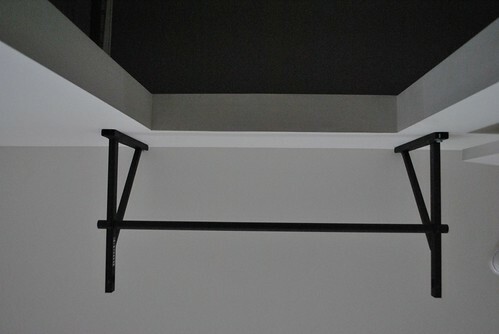 I finally got my pull up bar installed! 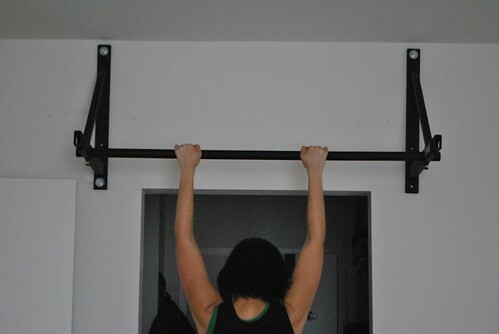 And now, I have no more excuses to avoid practicing my dreaded pull ups and toes to bars (which I just did my first of during the Crossfit Open!!)! It’s also been a long time since I have done a bike and run weekend, and this one made me miss them! On Saturday I took the Leeroy monster out for my last long run before my first half marathon of the season. I have not been really training much for this one. I can give you a bunch of excuses, weather, timing etc, but really, I just didn’t. But, experience assures me that, as long as I make one 10 mile long run, I should be fine…right? I made it through 10.75 miles through the hills of Rockefeller (I did one of them twice!) while first getting dragged by the dog, then me dragging the dog. On Sunday, I went on my second bike ride of the season. My relationship with my bike is a tenuous one. I am not a biker, it’s just something that I’ve never developed the strength and affinity for. It just stresses me out. But since triathlons not only require a bike segment, it’s also the longest segment, I had to learn to love. Ever since the Toughman, I have slowly gone into a reitrement of sorts. Only to be brought back out of retirement by agreeing to participate in the Go the Distance for Autism as part of my co-workers team. We were going to do a 50 mile ride, and I had just over a month to train up for it. So, today, our team went out for a 30 mile ride. The group consisted of six of us. Me, my brother, and four people from work. 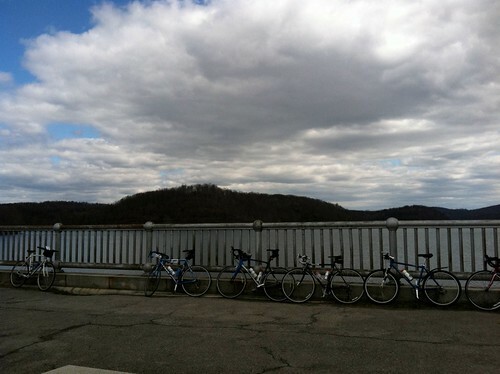 It was a nice ride through the roads of Northern Westchester, up and down all of those hills. Thank goodness we took multiple breaks, cause my legs were pretty darn tired. So, what does a girl get after spending the weekend running and riding long? Besides a post ride chicken cutlet sandwich from Rocky’s in Millwood? 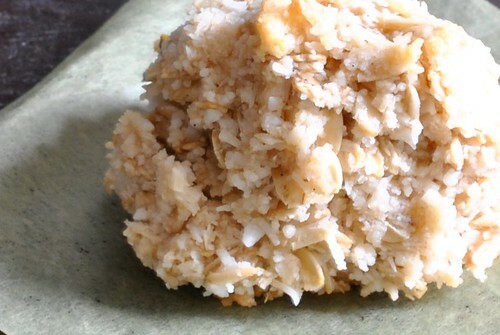 How about some Coconut Oat Macaroons with a little Ginger? 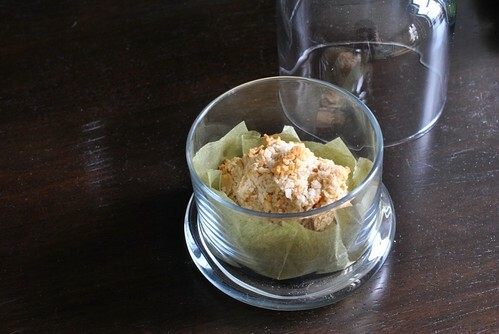 My friend Liz has been after me to make these Coconut Oat Macaroons from Prevention RD, and I finally did it. What I like about them is that they are healthy and made with items that are usually found in a regular pantry. Nothing fancy, no weird substitutions and no processed sugar. 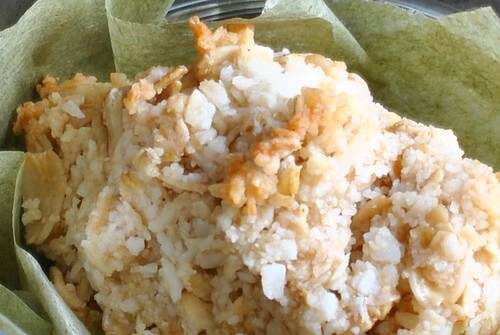 2 2/3 cup (8oz) and 1 cup of shredded unsweetened coconut flakes. Turn the oven on to 300 degF. 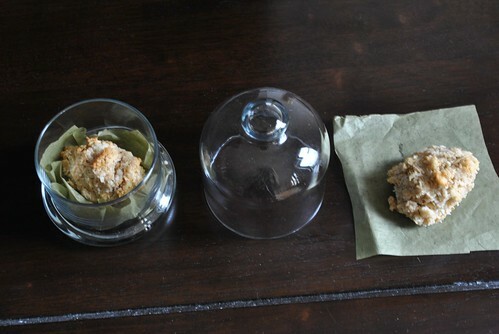 Prep a baking sheet with parchment paper. 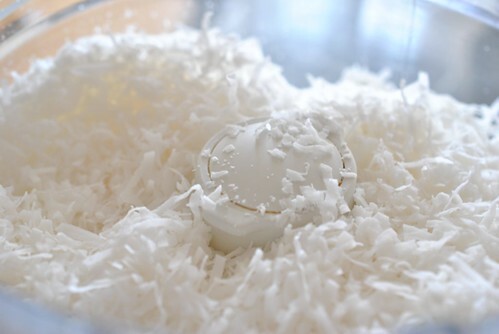 In a food processor, put in the 2 2/3 cup shredded unsweetened coconut flakes and process until it has a pasty texture. Check in it a couple of times and scrape the sides of the bowl as needed. This took me about 10 minutes. Just before it’s about done, throw in the ginger too. In a large bowl, combine everything else. Then add the contents of the food processor to the bowl and mix. Scoop out the mixture and place onto the sheet. For whatever reason, mine came out a bit loose, so I ended up having to give each scoop a good squeeze before placing on the sheet. The smaller the better. I made some that were fist size, and they fell apart a lot easier than the smaller tablespoon sized ones. Bake until the bottoms are lightly browned, about 20 minutes. Then….let them sit on the sheets for 30 minutes before even thinking about touching them. Otherwise they get super crumbly. 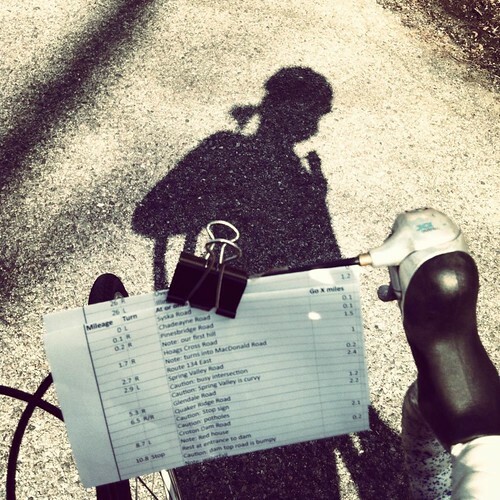 This entry was posted in Biking, Cookies, Running, Weekend Adventure and tagged Biking, Coconut, Go the Distance for Autism, Macaroons, Prevention RD, Running. Bookmark the permalink. These cookies sound awesome. Also, I’m super jealous about your sandwich from Rocky’s!